There’s architecture in Venice – momentous and iconic architecture that includes everything from St. Mark’s Basilica and the 15th- and 16th-century palazzi lining the Grand Canal to Carlo Scarpa’s masterful interventions and the immense former shipyards of the Arsenale. Venice is an open-air architectural extravaganza to which the world flocks unceasingly – a double-edged situation that both sustains and imperils this watery city. Every two years, the world’s biggest architecture show takes place here, mounted by La Biennale di Venezia, the landmark cultural organization founded in 1895. 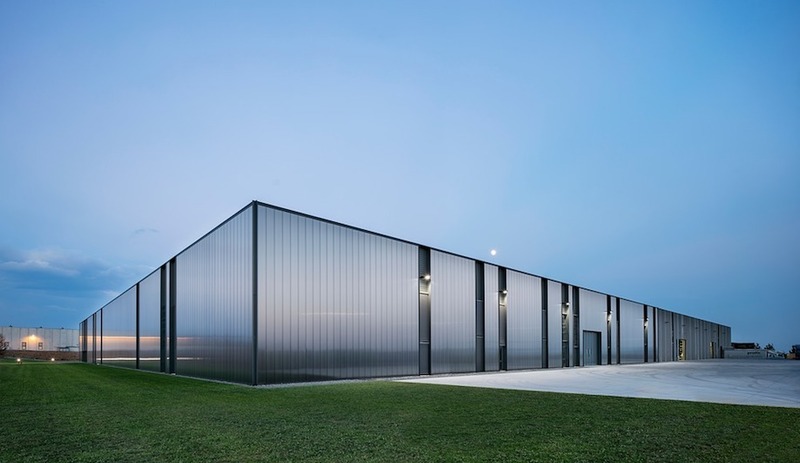 The architecture exhibition, which alternates with the more famous art exhibition, fills the halls of the Arsenale and the national pavilions in the Giardini (a park-like space in the eastern part of the city) from May until near the end of November. This year marks the 16th edition of the architecture exhibition, which debuted in 1980 under the direction of Paolo Portoghesi, with Aldo Rossi’s famous floating theatre, Teatro del Mondo, the event’s indelible emblem. This year’s biennale is directed by Yvonne Farrell and Shelley McNamara of Ireland’s Grafton Architects, who have chosen the theme “Freespace.” In their inspirational manifesto, meant to galvanize participants, Freespace is defined as architecture that provides “free and additional spatial gifts” beyond its program and that demonstrates a “generosity of spirit and a sense of humanity.” This is just the second time the architecture biennale has been guided by a female principal – the first woman director was Kazuyo Sejima in 2010. 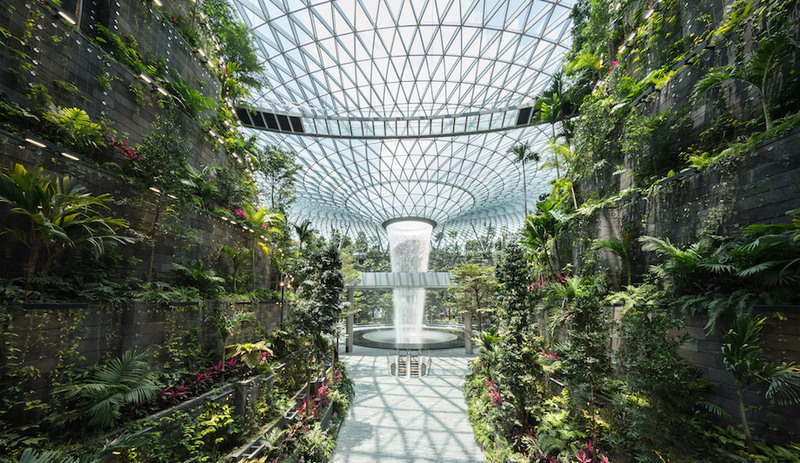 The concept of Freespace, which includes emphasizing “nature’s free gifts of light” and proposes the Earth as client, could be read as a feminine perspective on how to make the built environment more sustaining for both humans and the planet. Grafton’s theme of generosity extends to including both teaching practices and participants who don’t normally make the A-list. Although Farrell and McNamara’s exhibition begins in the Central Pavilion in the Giardini, many people start in the Arsenale. But in the end, it doesn’t really matter where you start: The Biennale is a sort of pinball machine that confounds a linear experience. 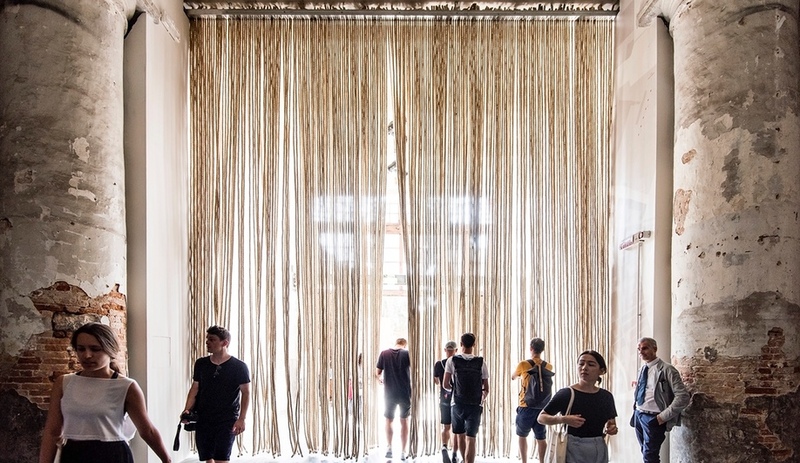 In the Arsenale, installations by some of the 100 firms or individual architects participating in the Grafton exhibition line both sides of the long hall of the Corderie, which is punctuated by soaring, six-metre-high columns. It’s a hugely impressive sight, with each of the installations a wonder unto itself and the hall (where mooring ropes were once made) contributing its own awesome scale and evocative light. In contrast to the art biennale, where the works are largely present, the architecture exhibition is frequently referencing projects that exist elsewhere. Some architects – Alison Brooks, Sauerbruch Hutton and Flores & Prats among them – interpret “free space” in their projects by bringing near-life-size architectural elements into the Arsenale. Interactivity (or “instrumentality,” as Canadian architect and Biennale jury member Patricia Patkau calls it) is a theme, with many of the constructions offering an opportunity to climb, to peer into, to enter the architecture in some way. Other architects use models to convey built work or work in progress. A story could be written just about the models: The intricate dioramas and miniature constructions are made of all kinds of materials – paper, lichen, string, wood, wax, concrete, metal. In fact, a stunning assemblage of models of works by Peter Zumthor, from the collection of the Kunsthaus Bregenz, is on display in the Central Pavilion. These models could be enjoyed simply as works of art, without ever connecting to the work they reference. DnA_Design and Architecture’s Songyang Story, told through large-scale models and video, is one of the most impressive installations in the Arsenale. Xu Tiantian’s Beijing practice has been working in eastern China’s Songyang County for several years, applying what she describes as an “architectural acupuncture” to help revitalize the area’s rural condition. Seven projects – ranging from a bamboo theatre to a community performance space inside a brown-sugar factory – demonstrate how small, sensitive interventions can effectively augment and reinforce a sense of place and identity and how great work can be located in non-urban settings. 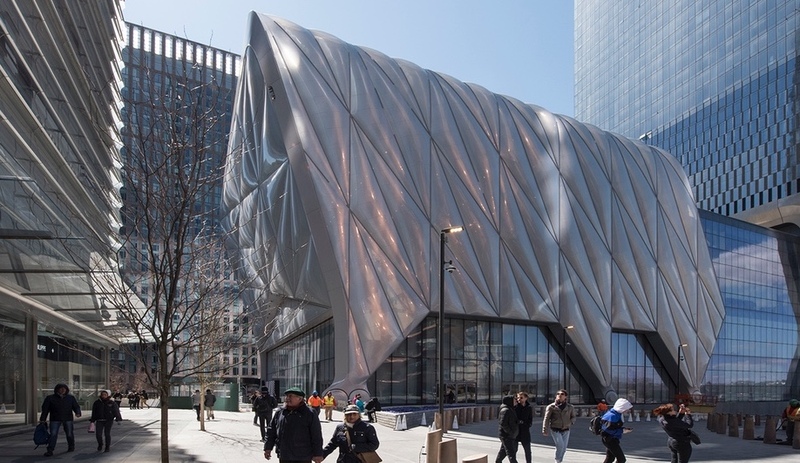 Since this is architecture and not art, the intent often requires considerable effort to unpack, and a viewer can only do this with a small percentage of the material. The sheer size and scale of the exhibition – the Arsenale alone contains some 20,000 square metres of exhibition space – produces physical exhaustion. Some of the most generous free space is where the architects provided a soft place to crash. It’s easy to become overwhelmed and wonder at the purpose of an architectural exhibition. Is it a jungle gym for the public to clamber on, a self-conscious display of orchestrated beauty, a string of things loosely connected by a theoretical idea? How does it advance architectural practice? In some places, unpacking happens spontaneously. Island, in the British pavilion by Caruso St John and Marcus Taylor, is an experiential installation that functions as an allegory for the U.K.’s political and geographic condition. The interior of the building is empty, leaving space for events, installations and performances (a few are scheduled). The main gesture is a rooftop platform, accessed via a staircase built of scaffolding alongside the historic building. From the open piazza on the rooftop there’s a bird’s-eye view of the Giardini below and a unique vantage point on the nearby lagoon. It’s a free space with a free view, serving free tea at four o’clock every afternoon. “Maybe it’s the privilege of being Swiss,” says Mimi Zeiger, one of the curators of the U.S. pavilion’s Dimensions of Citizenship exhibit, “that one can opt to experiment with questions of scale and domesticity and real estate. The Swiss have a different relationship to the rest of the world that frees them up to operate in a certain kind of way.” Zeiger and co-curators Niall Atkinson and Ann Lui felt their exhibition needed to present, in the face of rising nationalism in the United States and other countries, a more politicized perspective. 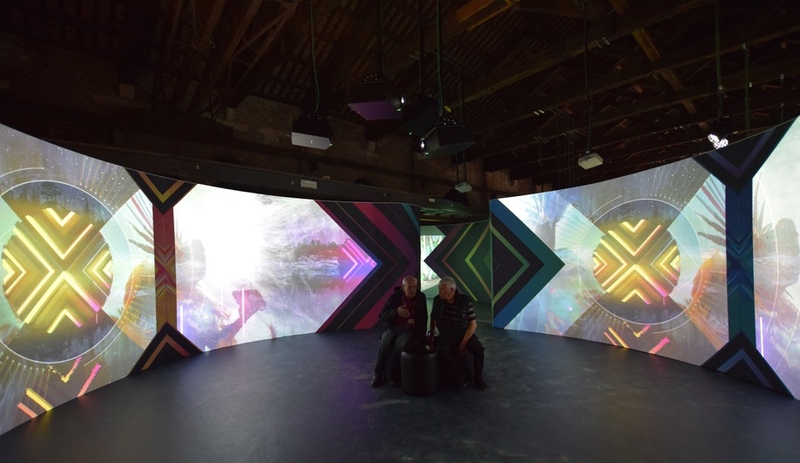 The exhibition explores the boundaries around citizenship through multiple installations, films and videos by architects, landscape architects, artists and theorists. The border wall with Mexico becomes a focus for discussions about citizenship that shift from personal to legal, actual to virtual, national to planetary. In Plain Sight, a video by Diller Scofidio + Renfro, Laura Kurgan and Robert Gerard Pietrusko, shows the inequity in how light is distributed across the globe – and leaves a lasting impression. Walls are the flip side of free space. The German pavilion explores this truism with Unbuilding Walls, curated by GRAFT and one-time Stasi investigator Marianne Birthler. They point out that Germany has been united for 28 years – exactly as long as the Berlin Wall existed. The exhibition explores the architectural projects on the former border strip that divided East and West Germany – it is a sorting of how much needs to change and how much needs to remain as witness. Details of how deadly serious the intent of no-man’s land was hit hard – so much energy expended, in this case, to keep people in and not out. Video interviews with people living on one side or the other of border walls around the world (Mexico, Cyprus, Palestine, Korea) convey the complexity of these situations, ultimately demonstrating that the wall is an emblem of failure. The Israeli pavilion traces the 19th-century document The Status Quo, which remains the basis for the complicated sharing of holy sites between the many groups with competing rights – showing how architecture is used to support claims, how it fails to eradicate the problems, and how it might be an instrument of negotiation. Five principal sites are examined, but it is the fortressing of the pilgrimage to Rachel’s Tomb that leaves the most visceral image – a walled corridor leading to a bunker-like enclosure. It’s hard to imagine anything more incongruous with the aims of religion and the veneration of a matriarch. There is something in the tension between walls and free space that begs pondering. The wall is the opposite of the generosity the Grafton exhibition promotes. Perhaps it is the reason why it’s important to fan the free space flame, to aim for a more open and porous society in order to eradicate walls that emphasize differences and do nothing to shelter and nourish. Yet the conversation around free space is sometimes an internal dialogue, as if architecture were in control. In some instances, what we are looking at is just very beautiful (the Nordic pavilion, SANAA’s installation). Says Patkau: “Architecture is something we simply gaze at sometimes, and we get a great deal out of that as well” – a reminder of the flocks of tourists cramming Venice simply to gaze upon its architectural wonders. 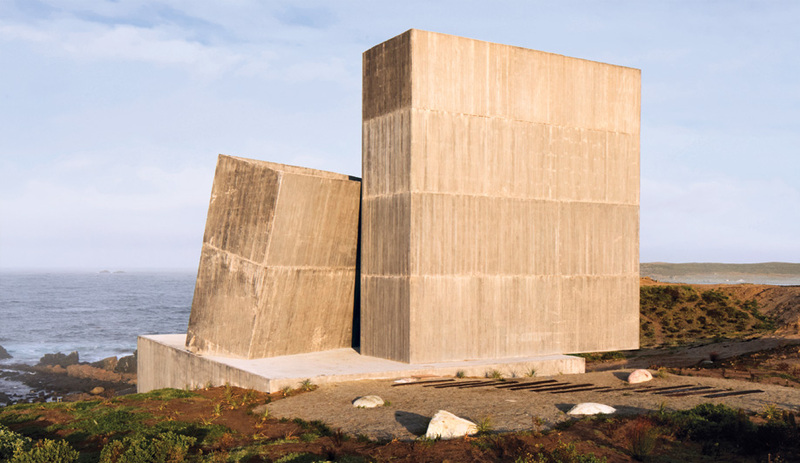 “There are interesting moments of architecture with a very big A in Grafton Architects’ curation,” says Zeiger, who describes what’s in the American, German and Israeli pavilions as the more expanded field of architecture. 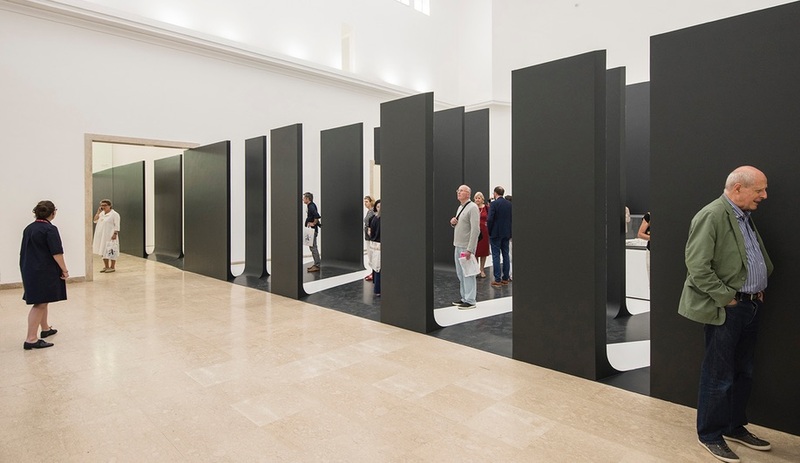 Likewise, the Dutch, Belgian and Brazilian pavilions focus on contemporary realities such as immigration, integration, automation, relocation and urbanization. Canada’s contribution, under the leadership of Douglas Cardinal, brings an Indigenous perspective to the conversation in Venice. The voices in Unceded – which gathers 18 Indigenous architects or firms from across North America – have a lot to contribute on the subject of free space, considering their cultures’ root values of respect and stewardship of the land. Their presence here is hugely important in fostering Indigenous architecture around the world. There’s architecture in Venice, there’s free space and walls – and there’s a lot that falls in between. 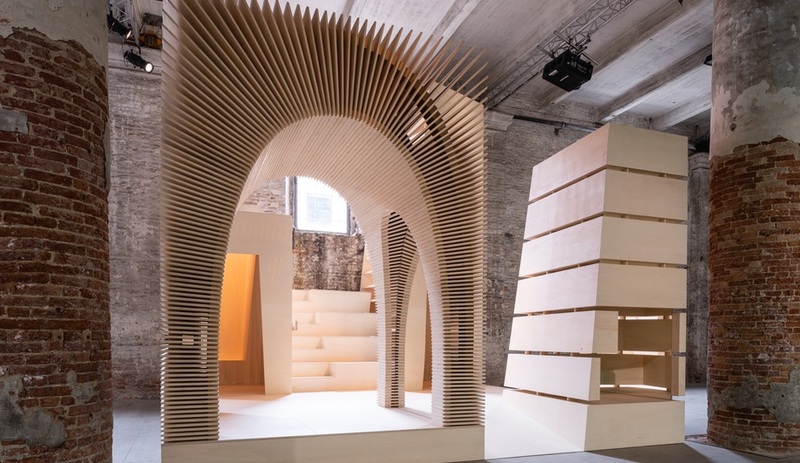 The 16th International Architecture Exhibition at the Venice Biennale is on until November 25. This story is taken from our September 2018 issue, now on newsstands. You can purchase your copy here.